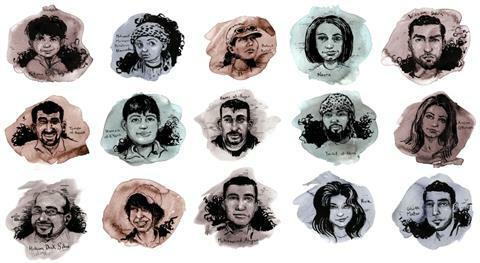 A project to read aloud 100,000 collected names of people killed in Syria has just been completed in Washington by activists and other participants with a general concern to honor those who have lost their lives. The project’s purpose was less an effort for political action and more an endeavor to call attention to the massive scale of tragic loss of life in Syria. Participants stood in front of the White House and read the list of names, taking four days to accomplish. On March 12, 2014, people will gather in front of the White House to read the names of 100,000 Syrians who have been killed over the past three years. The reading will take place for 72 continuous hours, ending on March 15, the third anniversary of the Syrian Revolution. Readers will recite the names in thirty-minute increments from lists— complied from three independent sources — of Syrians killed by all forms of violence in the brutal conflict. As the third anniversary of the Syrian uprising arrives Saturday, the last of 100,000 names of people killed in the conflict will be read aloud outside the White House. A project lasting continuously for three days, it involves over 140 people reading aloud for half-hour periods, some in Syria itself, participating via Skype, and some who are reading the names of their own loved ones whom they have lost. While the U.N. may have stopped counting the dead in January, saying it could not keep an accurate count due to the chaos on the ground, those killed in Syria continues to rise by around 100 to 200 each day. Many early protesters, like Ghaith Matar, believed in nonviolence. Matar was nicknamed “Little Ghandi” for greeting soldiers with roses. He was arrested by security forces, returning to his family as a tortured corpse. … “It’s so easy to see the people who die in a war as faceless victims or geopolitical pawns. It’s so easy to forget these were individuals who were loved, who were brave, and who had dreams and hopes in life,” Crabapple says. أعلنت جماعة ” أنصار بيت المقدس ” عن مقتل قائدها في مصر، الذي قام بالمشاركة والتخطيط في معظم العمليات الإرهابية التي كانت تستهدف رجال الجيش المصري والشرطة المصرية في سيناء. The leader of Egyptian terrorist group Ansar Bait Al-Maqdes is dead. Thank you for bringing up this project to light. There has been no single day since the beginning of the Syrian revolution that I have not cried for Syria. The first map (Jad al-Yateem’s) in not correct if we take into consideration what had happened recently in al-Qalamun area. Yabrud is slowly coming under the control of al-Assad. When we hear Jarba asking for more weapons from its masters, we immediately are convinced that the rebels are running big trouble again. I hope SAA and associates do not leave any escape route to the rebels in Yabroud. There are large number of radicals there waiting to be delivered to their heaven. I hope by the end of this week Yabroud can serve to be a psychology blow to the rest of those savages. And the map will change again in a few more weeks and it does not reflect the gains in the South either by the opposition. It is clear that to some this is a map and to others it is real human beings paying the price of freedom and dignity and yes with revenge and counter revenge. Here this is a great map worth focusing on. In the meantime, this project is now being matched by the project in Lebanon to find out what happened to the 37000 disappeared during and certainly after the end of the civil war including those that disappeared in the dungeons of the Syrian regime during its occupation of Lebanon with famous prisons in Ras Beirut and Anjar among other places. Using DNA, and modern forensics they are going to unearth all the evidence for these 37000 or so disappeared. كشف “تنظيم جبهة النصرة لأهل الشام”، أنه قام بتصفية “أمير تنظيم الدولة الإسلامية في العراق والشام ( داعش )” في مدينة حلب شمال سوريا، وهو مغربي الجنسية. وقال “التنظيم” في نبأ نشر على صفحته على “تويتر”: أن “جبهة النصرة (لأهل الشام) قتلت “أبو أسامة المغربي” أمير داعش، وهو في حلب شمال سوريا. Both Nusra and ISIS are designated as terrorist organizations and have played a key role in the Syrian war and brought scores of foreign jihadists to Syria. While the war between Jihadists continue, most of Yabroud is now under Syrian army control who may be now ready to attack Flaytah and isolate Qalamon from Lebanon. Yabroud and Irsal is where many car bombs and rockets are prepared and sent to kill Syrians and Lebanese alike. Excellent point, war maps change every hour. The one mistake in any map from now on is to label one of the forces as regime forces. There is no longer a regime, and assad (i.e., dog-poop chemical athad) is merely a figure head for the foreign gangs fighting to keep it. Even regime representatives, well known for cheering massacres, recognize that their regime is dead-man walking, otherwise one would not read a phrase liks (SAA and their “associates”). The war is now a war of liberation against foreign forces keeping the stinky decaying corps of the worst regime ever known, and against a bunch of stinky sub-specie calling themselves ISIS. It is not a war between these two, it is against them both. Those remnant shabeeha and those aiding ISIS are pawns at best, and in reality, agents of foreign occupation. It seems Russia doesn’t require UN cover to intervene in Ukraine. Presumably the international community (ME and west) don’t need UNSC cover to intervene in Syria either? I wonder if Turkey’s gonna make some kind of move, limited even? Recall the shrine story? Will it target ISIS? Surely the Assad camp and it’s fanbase wouldn’t object to that? What say you my friend Alan from Aleppo? Two wrongs does not make it right. Civil War maps are different from War maps. Civil Wars fighting lines does not change that much. 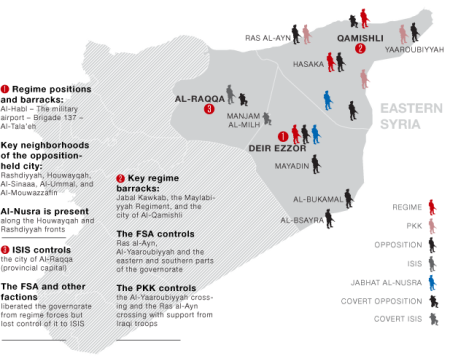 Look at Idleb, Allepo, Raqqa…etc some minor changes happened but not that much. When I point a major shift in the situation on the ground (changes to the map of a civil war) and you chose to neglect it and instead give me a lecture about maps we have a major problem with you understanding what is written. Again: civil war maps are not the same as war maps. When civil wars start changes on the ground happen, but when you reach the third year and then the forth: you will have some lines established that are going to be held for a long time. Major changes should always be taken to consideration. YABROUD, Syria: Syria’s army seized full control of the rebel bastion Yabroud on Sunday, dealing the opposition a heavy symbolic and strategic blow in the Qalamoun region adjoining the Lebanese border. An AFP reporter entered the town after the army declared it had captured the opposition stronghold north of the capital. In addition to its symbolic importance, the town is a key strategic prize because of its proximity to the highway and the Lebanese border, across which rebels have smuggled fighters and weapons. 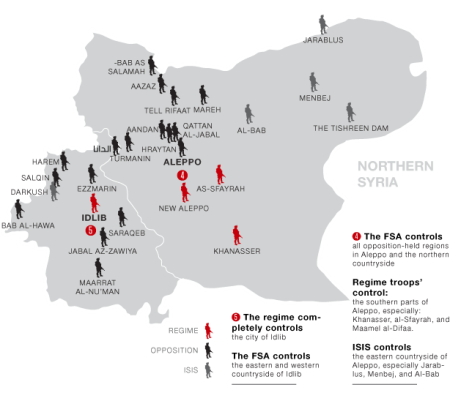 The capture of the town, and continuing army operations in the surrounding area, will sever important supply lines for the rebels as they face several army advances on different fronts. The town’s seizure could also place new pressure on Lebanon’s Arsal, which is hosting at least 51,000 Syrian refugees, many from the Qalamoun region. Arsal municipality official Ahmad Fliti told AFP that the Syrian air force was staging continuous raids outside the town on Sunday. For those who joined the effort to unseat Assad three years ago, flush with the fervor of the Arab Spring protests sweeping the region, the realization that the rebellion is faltering is “deeply depressing,” said Abu Emad, a student activist who has watched as the government has steadily crushed the armed rebellion in his hometown of Homs, once regarded as the epicenter of the revolt. Saturday marks the third anniversary of the initially tentative anti-government demonstrations that spiraled into civil war, and many Syrians are wondering whether the 140,000 deaths and the displacement of millions of people were worth the price, he said. 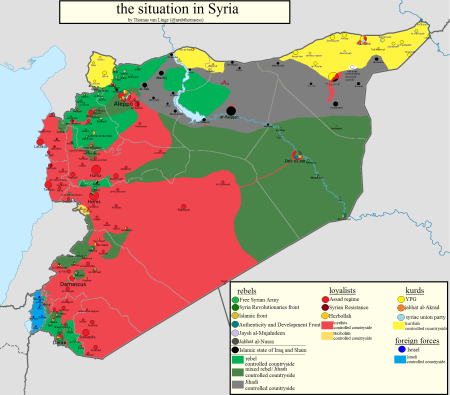 Do you want to invade Turkey Syrian territory? The ethnic syrian turks and turkmen* are presumably in mortal danger. * Past & present (ie. 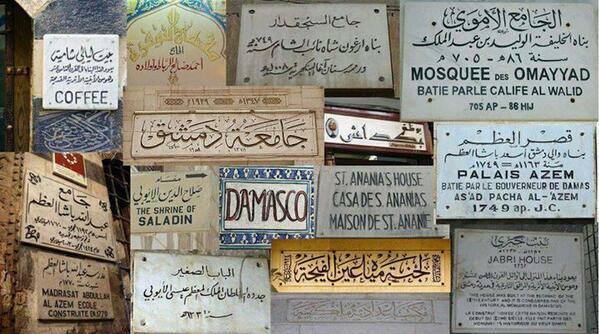 occupants of shrines). We’ve been in expectation of miracles since the very first day. There is no let up in our expectations. Our hopes and expectations only increase in the darkest hours. Who wants to lengthened beard, must comb it down!!! Speak on behalf of whom ? Yabrud just fell, the Salafist dogs are limping away, and this is the “news” we get from Syriacomment? The pictures were leaked by activists, a term used to describe Syrians opposed to the regime but do not carry arms. Providing aid to Ukraine was comparable to giving support to rebels in Syria knowing it would end up in the hands of al-Qaida. United States will pay dearly! Two very powerful pieces by Syrians. What sweet relief to read something by people who know something about the subject! (Although you still followed it by that little ritual spin-dance also blaming Syria’s destruction on the foreign jihadists and rebels. Syria is now infested by growing hoards of violent foreign fake-Islamic losers with mental problems (parading both as Sunni and Shia). They are known in the psychiatric literature as “pseudocommanders” and mass murderers often fall into this category. Organizations like ISIS and the Shia extremist militia are a powerful natural magnet for them and failing states their fantasy playground. This is why their home countries see them as sinister and dangerous potential mass murderers (shorthand version: “terrorists”) and don’t want them back. Thanks for the alert, I definitely do NOT believe the price paid to topple the regime was worth it, that was an editing error. Rebels and jihadists made a bad situation much worse. Notice how the armed rebels hurt the same people they want to protect, I spoke about the subject a number of times and my position on the use of violence has not changed since 2011. However, I see a difference between ordinary syrian rebels who do not belong to Isis and nusra and syrian jihadists and foreigners who came to Syria to spread death and terrorism. Sadly enough, most of those who are fighting today are either common thugs or foreign jihadists. Non jihadist Syrians who fought the regime are mostly gone after realizing that their “revolution” has been stolen, many rebel leaders are now business men who practice jihad in Turkey spending and investing the blood money they never earned. All of you should ask why yabroud fell faster than anybody thought. Here is the only map worth looking at. So what Yabroud fell? It was liberated then now fell then it will be liberated again. Just like Maaloula. After it was liberated, it fell to those peasants and was liberated again. Like one ne Shami said: The important thing is that الفلح اللي اجت من ورا البقر بالنهاية حترجع لورا البقر . I used to vehemently oppose this categorization when I lived in Damascus. I understand now why people use to call you that.. Yes Tara that is the problem when you use cow dung for such a long time and then you all of sudden put on Ray Ban glasses and become drunk with power. But the olfactory nerve has the quickest habituation response of all the nerves which means that it loses constant stimulation fairly quickly after the first notice of the cow dung smell. Thereafter you may be sitting in it and cannot tell the smell and you smile and make thilly jokes and have circular arguments and talk of Thouria my little animal farm toy and forget that you continue to smell of cow dung for about four decades now and cannot even tell that you have never left it. Disappointing. If it was true that you intentionally made that statement (#27) I would have felt respect and liking for you, and seen you as someone who was being rational and honest. But instead you run away in a panic saying no, no I didn’t mean that, and go back to waving distractionist Assad-excusing flags. You refer to your position on violence, but it isn’t clear to me, and in many ways it feels selective and aligned with that of the Assad regime. Example: How could you put that heart gripping link (#5) showing a shocked and trembling toddler being dug out of rubble caused by a Syrian armed forced barrel bomb on her home in Aleppo with no word explaining what happened. Instead, you simply say she was “lucky” and that others children get killed – as if slyly hoping people might think that ISIS or someone else did it? The correct subtitle: This tiny child was born a Syrian citizen with nowhere else to live. But the government of her home country instead of protecting her has dropped a barrel bomb on her home intending to kill her. Watching this very harrowing video, I think it is likely her legs are crushed and she could have suffered permanent injury. I wish this video was shown on prime time TV around the world with the full explanation. So now we’re calling this a “revolution”? I firmly believe in honoring the dead, but don’t call this a “revolution”… a revolution it stopped being a long time ago. I want this war to end so we do not have to hear about more dead children and more refugees. Some of you are consumed by the urge to revenge instead of justuce, keep in mind that ” your enemy” lost tens of thousands of people also. you should look in the mirror and ask what really happened since rebels and jihadists decided to ” liberate” Syria and called those who refused to join “Kuffar, shabeehas, Assadists, regime apologists” , etc and tell me how well did this ” revolution” serve you and the people you care about. Rebels killed scores of innocent civilians because of their religious affiliation and their alleged support of the regime, they also destroyed properties, looted houses, engaged in armed robbery, kidnapping theft of public resources, especially oil, and the list goes on and on. if that is what this ” revolution” is offering I do not want it. There was Syria before the Assads and there will be Syria after the Assads but much of what was destroyed by this evil war will never come back, and I am not willing to let rebels off the hook on this tragic end, my sentiment is shared by millions of Syrians who may not have heard of syriacomment or could not care less about what we say here when they are worried about staying alive and feeding their children. Delusional is no longer an accurate word to describe the way those “revolutionists” unabating obsession to this stinky and bloody war. Fanatic is the right term to fit their mentality. Along with those savages going amuck doing Jihad in Syria, on top of the impotent and corrupted regime, we got a perfect storm to destroy the country. America’s vicious and egregious role in Syria war has not been justified. At this moment, Syrians can only blame those traitors among them and those Syrian expats who sell the country for personal revenge and personal gains. America needs a revolution. Its credibility has reduced to almost cipher after this shameful meddling in Ukraine and Crimea. We shall see more strategic cooperation between Russia and China. But let us see what US could gain, the west part of Ukraine? Yanukovych agreement with China on construction of a deepwater port in Crimea for supplying large ships – a strategic turning-point in geopolitics. Why China will not agree with the European Nazis.